You are here: Home / For Business / How Much Do Accountants Charge? Whether you’re self-employed, or running a limited company, choosing who to employ to take care of key accounting functions is an important decision. If you’re looking for a new accountant, or are setting out to find one for the first time, you’ll want to know how to get value for money. In this guide we look at how much accountants charge in the UK today. There are a few areas to cover, so let’s get to it. Accountant Fees. What’s a typical hourly rate? Broadly, you can expect prices to be based on an estimate of the total length of time it will take to complete the relevant tasks, and a cost for the time spent. Total quoted prices tend to depend on the specific nature of the work, the regularity of the service and the size of the business. Fees can often be agreed in advance, helping business owners to budget in advance, and avoid any unexpected shocks. Limited companies employ an accountants for a range of different functions. From payroll, VAT, corporation tax returns and much more besides. The larger the company, the heavier the regulatory and compliance requirements is likely to be. This makes picking the right firm essential. If you’re a contractor, then a good accountant can help you navigate the complex legislation in this area. They can help you set up an efficient structure for your contracting operation, and avoid unnecessary problems. Many firms are keen to build relationships with clients for the long term. As a buyer you can make this work in your favour and secure a competitive quote if you’re able to spend some time sourcing the best rates. Expect to pay upwards of £500 for statutory accounts filing, and corporation tax returns on an annual basis. Costs for bulk services can often be negotiated down, so work with your prospective partner to see where you can make savings. VAT returns, and bookkeeping are often charged by the hour; anything upwards of £15 is common. Specialist management accounting procedures may take more specialist knowledge. Here, prices can be somewhat higher than for more standardised services, perhaps as much as £40 per hour. For any specific legal or compliance-related work, fees will generally be added on top. Make sure that when you ask for a quote you go into as much detail as you can. Your accountant may be able to assist in other less obvious areas like legal work, so ask what the full range of services on offer is. Some firms offer training on things like bookkeeping too. If you’re able to take some of this on in-house or as a director, you can achieve decent savings, so it may be well worth looking into. Whilst the requirements for sole trader businesses are less onerous, many of the routine tasks are the same as for other legal structures like companies or partnerships. VAT, payroll and bookkeeping services may be required. Year-end accounts will be needed too. Prices for this type of smaller business accounting work can be upwards of £150-200 for the year, but this will depend on whether books are in good order, or if they need some tidying up. 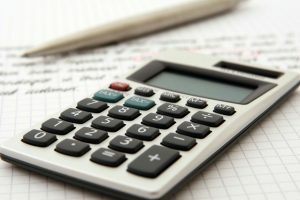 For a bit more detail on costs for self employed businesses, including a few due diligence processes that you should think about as a small business too, here’s a nice article. Completing a self-assessment return makes many people shudder. In fact, with assistance from a qualified and experienced accountant, it can be taken care of with a minimum of fuss, and for minimal expense. The marketplace for these services is competitive, so this can certainly work in you your favour. If you’re in any doubt, get a no obligation consultation and run through the options; you might be surprised at how affordable a simple tax preparation service can be. How can I gauge what’s a reasonable amount to pay? As we’ve already touched on prices are often quoted by the hour, and jobs billed on this basis typically. It’s common practice for a prospective firm to offer a free consultation before any work is agreed or any fees are set in stone. Take this opportunity to explain in as much detail as you possibly can, all the things you’ll need taking care of, both now and in the future. For small businesses, there’s often a greater emphasis on finding an accounting firm that you can work with over a period of time. You’ll want to meet your accountant and understand how they work, to see if it’s a relationship that could develop over the longer term. You’ll get a better return on your investment if you can turn the working relationship into something that lasts. Not all businesses want to take care of their own bookkeeping. Accountants will be happy to offer a bookkeeping service in addition to the core account preparation work. It’s a good idea to see if an out-sourced bookkeeping service can offer your business value. Getting a detailed breakdown of their fees schedule for this is a good idea; often this type of work is set at a standard rate per hour. Expect to pay in the region of £15/hour and upward for this. It’s essential that you check for relevant qualifications. The accountancy space is highly regulated, so when you pick a fully qualified firm, you’ll be in safe hands. Here’s some useful information on the types of qualifications that UK accounting firms can hold. Chartered accountants or tax advisors for example can be accredited by different bodies, and may hold multiple qualifications simultaneously. Make sure to check this aspect thoroughly, and always choose a reputable organisation. If you want to use our matching service, all our partner firms have been thoroughly checked and vetted. They all possess relevant qualifications and experience and can provide full assurance in this area. Here at the Buyers Guide, we always recommend sourcing a few quotes, and accounting is no different. Taking time at the outset to find the right firm will save you a headache in the long-run. You’ll minimise the risk of needlessly overpaying, or spending money on a service that doesn’t suit your needs. Our specially developed price checker service puts you in touch with approved, local firms that can deliver the service that you want. We’ve taken care of much of the approval and vetting process, leaving it to you to pick the right firm.